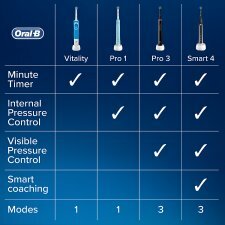 Achieve a clinically proven superior clean vs. a regular manual toothbrush and whiter smile with the Oral-B Pro 600 3DWhite electric toothbrush. 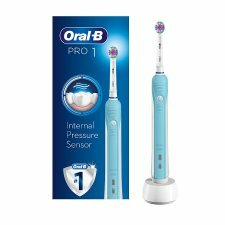 The specialized cup polishes for whiter teeth starting from day 1 by removing surface stains and the round dentist inspired toothbrush head oscillates, rotates and pulsates to remove more plaque vs.a regular manual toothbrush. 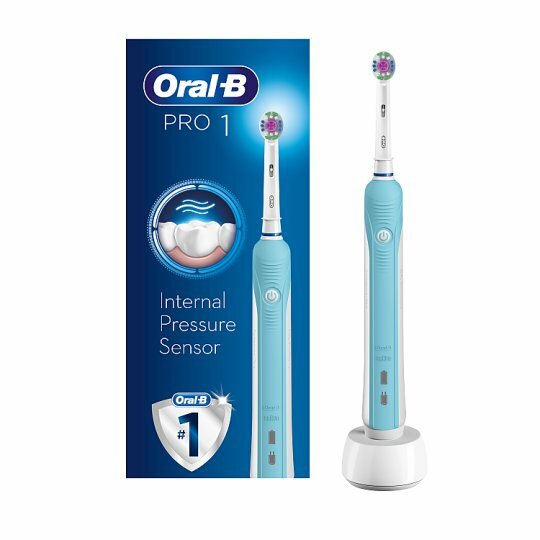 Together with the daily clean cleaning mode and an in-handle timer to help you brush for a dentist recommended 2 minutes, the Oral-B Pro 600 3DWhite is a superior solution for your personalized brushing needs.